At Foley, we love working with homeowners who want to expand their living space without compromising the look and feel of their existing home. When you’re ready to add a sunroom, additional bathroom, master suite, or even a second floor, we are your perfect design build partner. Many of the clients we build additions for first came to us for the design and construction of their original custom home. It is a source of great pride that homeowners put their trust in us not just once, but for all their subsequent home addition and remodeling needs. We know just about everything there is to know about home additions. After all, we’ve spent over 30 years doing them, using only the finest materials and employing only the most talented and trustworthy subcontractors. Our years of experience have taught us how to best build an addition that adds value to your home and makes the process an enjoyable one for all involved. We’re dedicated to creating lasting relationships with our clients. We like to think of them as family, and hope they look at us the same way. We believe that effective communication, professional craftsmanship and quality control should come together in a team approach that guarantees homeowners a personalized and enjoyable building experience. Your home addition project is our passion. 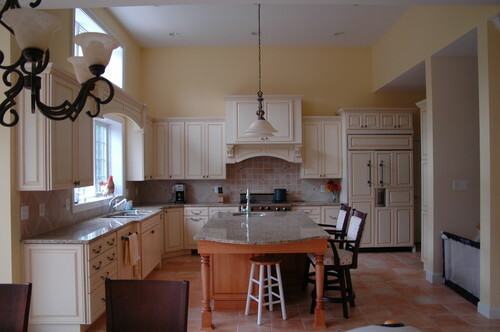 We are custom builders and home remodeling contractors serving homeowners in Northern Virginia, including Great Falls, McLean, Arlington, Fairfax, Falls Church, Leesburg, Lovettsville, Oakton, Purcellville, Reston, and Vienna. We understand the complexities of the home addition process. Over the years we have developed systems and procedures that allow us to deliver a home addition you can be proud of and one you and your family will enjoy living in for years to come. When you team up with Foley, you’ll soon discover why construction projects run smoother when you hire an experienced design build firm. A well-designed bathroom addition can not only improve your family’s life, but add exceptional value to your home. Whether you want to install a new master suite with a luxurious spa-like retreat, or are looking to add a guest bathroom, we will work with you to design and build the perfect space. We bring innovative design to every bathroom addition we do, and we will deliver the bath of your dreams on time and on budget. As a homeowner you can almost never go wrong adding on a bathroom. You rarely hear someone say “I have too much bathroom space.” While bathroom additions tend to only recoup about 50% of their cost at resale, if you’ve always dreamed of relaxing in a jetted tub, or your family isn’t happy about lining up to share the baths you have, you may not be that concerned about recouping anything on the addition. Who can put a price tag on personal satisfaction, relaxation and family harmony? It’s true that every home comes with a kitchen, but many homeowners ask us to reconfigure the space and put on an addition that will give them an up-to-date space ideal for family gatherings and friendly get-togethers. We love the challenge that comes with adding on a new kitchen, and our design team will work with you to the discover the layout, fixtures and furnishings that perfectly complement your family’s lifestyle. The heart of the home deserves only the best and we want you to be confident in your decision to work with us. Take a look at our case studies and read our client testimonials. We hope they’ll put your mind at ease over choosing Foley for your new kitchen addition. Give your friends and family a comfortable space to relax in; a guest house is the perfect place for in-laws, friends, family or business associates to stay. Many families are making the move to multi-generational living. A separate guest house is the perfect solution for having family close while incorporating a sense of privacy and autonomy. Are you a serious hobbyist or artist? A backyard studio is an ideal space for craft and art projects, a quiet place to work, or just a place to kick back and relax with a good book. Garden cottages are a charming addition to any home. A patio or deck can add beautiful exterior living space for your family and friends to enjoy, even year-round if it’s enclosed. Our design team will help you create an outdoor living space that beautifully complements your home’s architectural style and looks like an original component of the house. Northern Virginia experiences lovely outdoor entertaining weather at least nine months of the year. We’ll help you turn your back or side yard into a dining and entertaining spot, or an outdoor sanctuary. Even as the weather turns colder, you can enjoy your outdoor fireplace or fire pit, and installing built-in seating will make your new patio or deck beautiful and functional. If your family needs more space, but you want to stay in the home you love, an addition is an excellent way to add square footage to your home and increase its value. Let our home addition experience work for you. We encourage you to learn more about our remodeling and construction process as well as frequently asked questions about the home remodeling process and then give us a call to schedule an in-home consultation. Let’s join together to make your home addition all you’ve dreamed about.